New York City Housing Authority (NYCHA) is the nation’s first and largest public housing agency. Housing nearly 600,000 residents, NYCHA’s mission is to provide decent, affordable housing to New Yorkers and access to social and community services. Decades after being built, many of the agency’s 2,400 buildings are aging and lack the proper funding to be repaired. This means residents are faced with hazardous environments that can lead to poor quality of life. 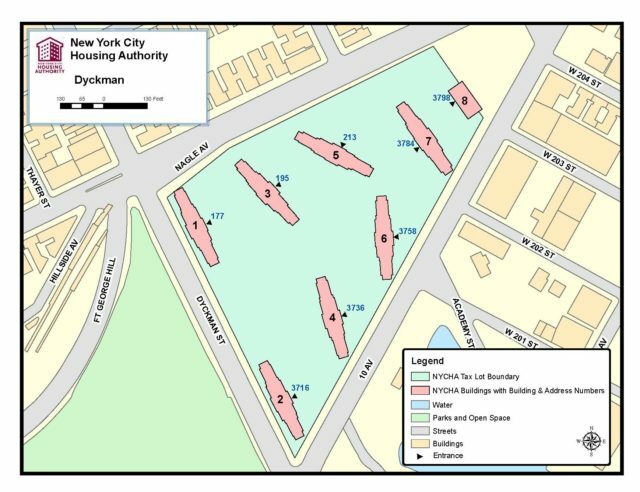 Many NYCHA buildings are already located in areas that face their fair share of pollution and growing risks from climate change. At WE ACT, we know that social, environmental, and economic factors have more to do with health than access to a doctor or hospital. Health and well-being starts in our homes, schools, workplaces, neighborhoods, and communities. In 2017, WE ACT started a collaborative community outreach project called “NYCHA Villages” in Inwood to engage residents of NYCHA’s Dyckman Houses on how to improve their homes and community well-being. Through a series of workshops, residents are the experts and provide feedback on how to best address the issues faced by their community. WE ACT is working with residents to develop their own plan and vision to advocate for their community and neighborhood. 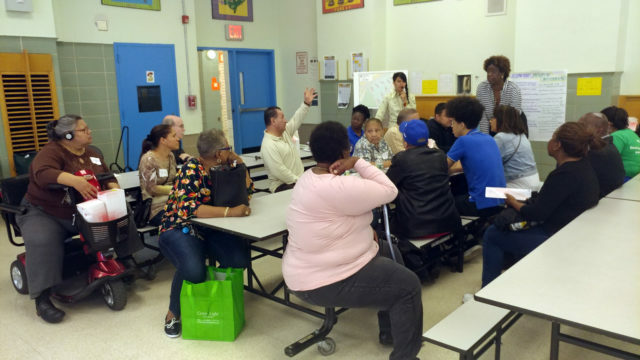 Dyckman residents discuss ideas for a community plan in October 2017. Our goal is to better understand how NYCHA and other agencies can improve the resources and support systems available in homes, neighborhoods, and communities. This could even include issues outside of physical buildings, such as the quality of schools, the safety of workplaces, or the quality of food. While this project is still underway, we encourage you to check back soon for updates. To learn more or volunteer with this project, please contact Genesis Abreu. Funding for this project was provided by The Kresge Foundation.